Klamath Bird Observatory is offering two unique opportunities to participate in our long-term landbird monitoring program. 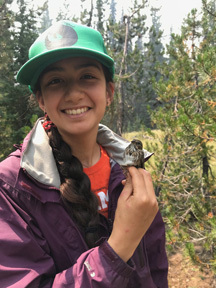 A Bird Banding Workshop at KBO’s Upper Klamath Field Station in southern Oregon on August 5-9 2019 and a Bird Banding Field Course, a 10-30 day opportunity to immerse yourself in the life of a field ornithologist and obtain a comprehensive introduction to bird banding and other field methodologies. CLICK HERE to read more about these exciting bird banding opportunities.